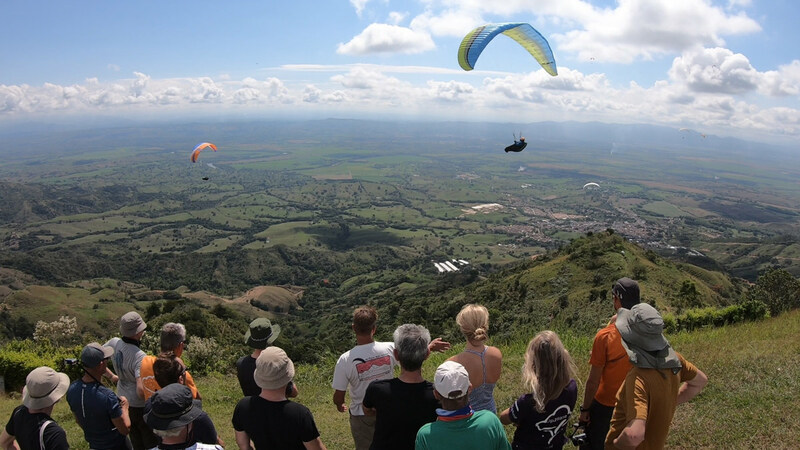 Paragliding is fantastic, but it can also be very frustrating. 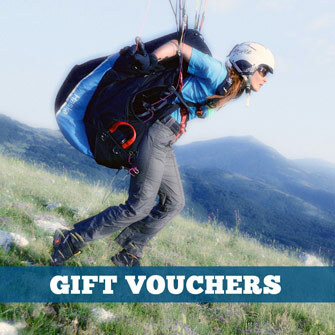 Flying cross country tests your skills to the limit, but when you make a wrong decision the learning stops (and the long walk/bus/hitch/donkey ride begins). If only I’d stayed up a bit longer, I’d have learned … who knows how much more? In the spirit of sharing my experiences to accelerate your learning, here are the main things I picked up during the year. 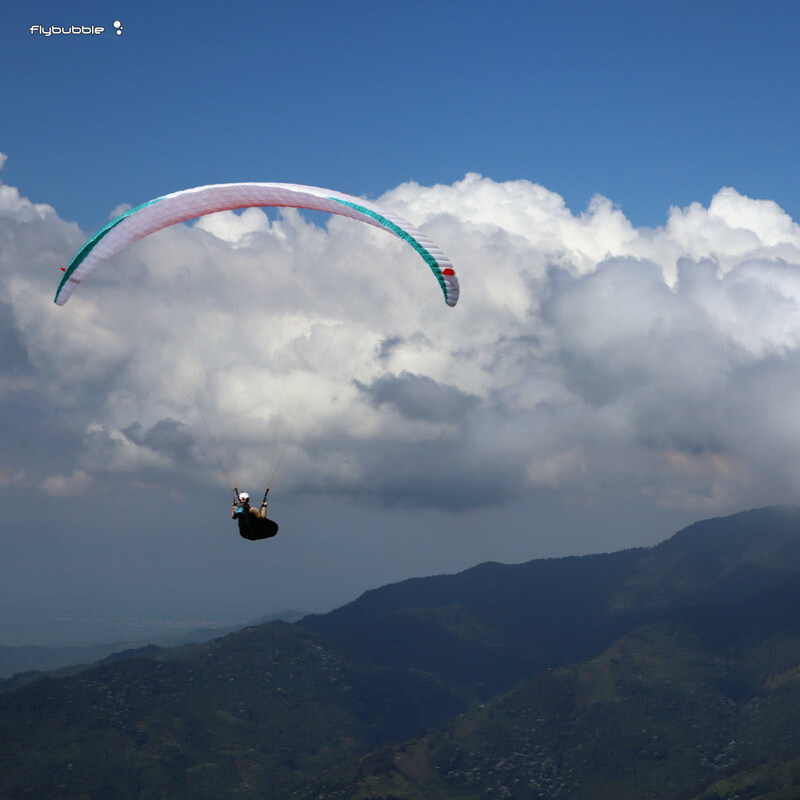 Paragliding is a solo sport, but if you want to improve it’s much harder to do it alone. In 2018 I took a number of flying trips and courses, and can really recommend both beginner competitions like Chabre or the Gin Wide Open, and SIV, both of which I did for this first time. In addition to on the hill coaching, I also had Skype based sessions with Pat Dower. Having a chance to discuss my flying with more experienced pilots, and learn new techniques, really improved my skill and knowledge base. I took a Coaching Course at the start of the year, and while I didn’t coach on the hill as much as I would have liked, I ran a few Skype based sessions with the Southern club. Trying to work out how to coach topics such as thermalling, meteorology, and RASP really made me think and helped reinforce my knowledge. I moved from a Skywalk Tequila 4 to a Skywalk Chili 4 this year, and noticed that it could be a little sluggish when starting a 360, sometimes taking a while to respond after putting on some weight shift and brake. A nice technique I’ve adopted to address this is the direction change – after entering a climb, I’d first crab across in one direction to try to feel out the edge of the climb, then start my turn in the other direction, almost like a mini wingover. 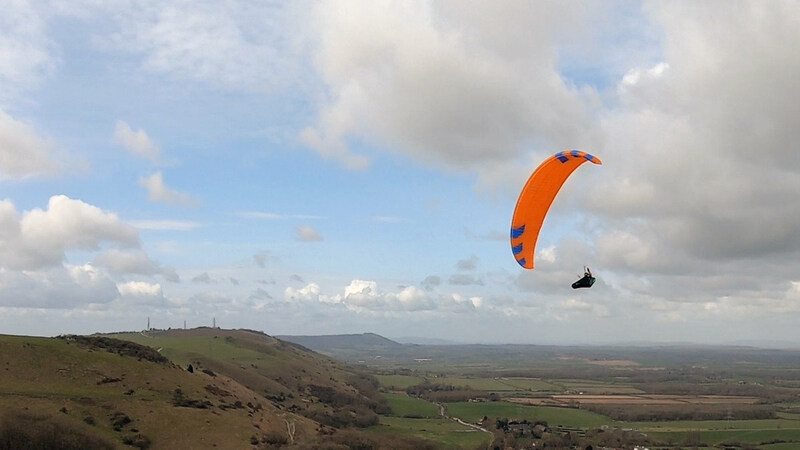 Having the glider roll one way then the other builds up a nice bit of energy, and allows a smoother thermal entry. The other thing I became more conscious of is pitch – with the glider pitched forward it has more energy and is more dynamic. For a really aggressive turn, maybe less efficient than the mini wingover, you can slow the glider down, let the brakes up fast to start a dive forward, apply weightshift then brake for a high energy turn. 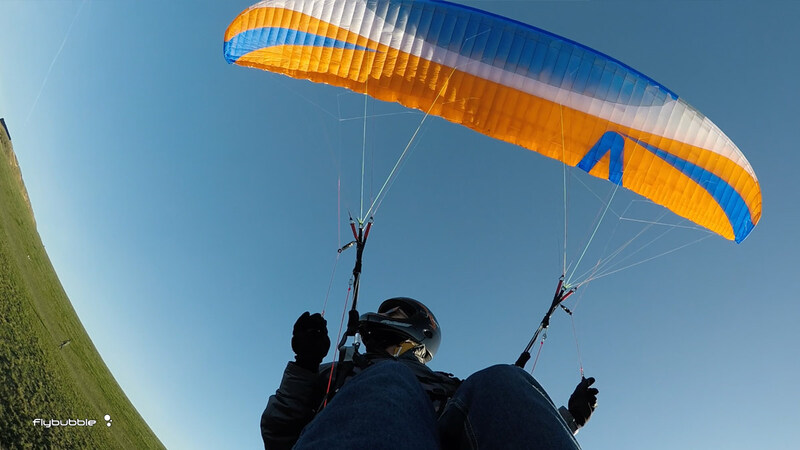 A thermal will tend to counteract the pitch movement as you enter it, but if your weightshift is already applied you can get a fast turn as soon as the wing moves forward. Take care when falling out of the front of a thermal because the wing will naturally pitch forward, and letting the glider dive then applying weightshift and brake at that point can lead to a sudden spiral turn. I attended the Chabre Open in 2018, and one mistake I made regularly was to get too focussed on trying to be right on the edge of the start cylinder when the start opened, often losing a lot of height to try to get a bit closer to the cylinder edge. This just led to me getting overflown by people a little further away but higher. Altitude definitely wins over position if you have to choose one or the other. This also applies during XC flights when the temptation is to leave weak climbs and just ‘push on’. Altitude gives you more reach to glide to more thermal sources, and more time to make decisions. Some pilots seem to be blessed with the ability to happily fly for 6 to 7 hours pretty much from their first XC experience. This definitely hasn’t been the case for me, and I’ve been working hard for years now to improve my stamina so I can fly longer and further. Four hours is still pretty much my limit, but I hope to increase that further next year. 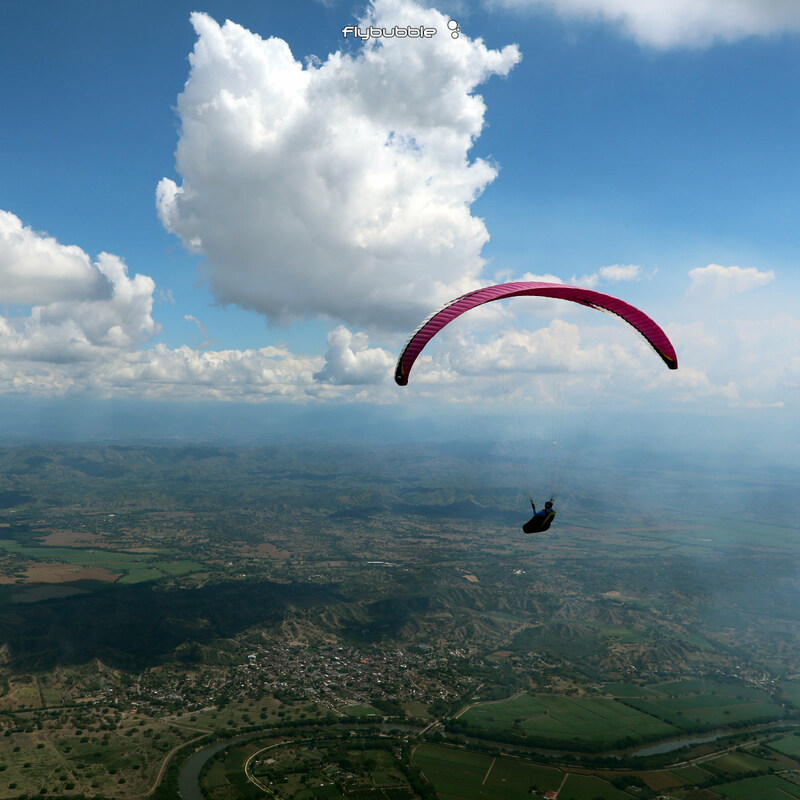 The main thing that has helped me is to try to actively force myself to relax during the flight, and to take a regular concentration breaks when I have the opportunity. I find a really good way to relax is to focus on my breathing, and if it is fast or ragged to slow it down, breathing deeply. I often find myself most stressed when low and in a zero/light lift, but this is the most important time to relax, feel the lift and react accordingly. This year I’ve also bought lots of snacks with me, trying to remember to eat every hour at the most, and have bought an XCPee. Both things have made a real difference. I suffered with airsickness on a few flights in 2018, even having to land an XC because the airsickness was too intense. For others who suffer with the same thing, I have a few tips which have helped me a lot. On Luke Nicol’s recommendation I bought some travel bands, and also have some ginger root tablets which I take in the morning before flying. I also found the relaxed slow breathing I described above works really well – getting tired, stressed out or out of breath definitely brings on the airsickness. 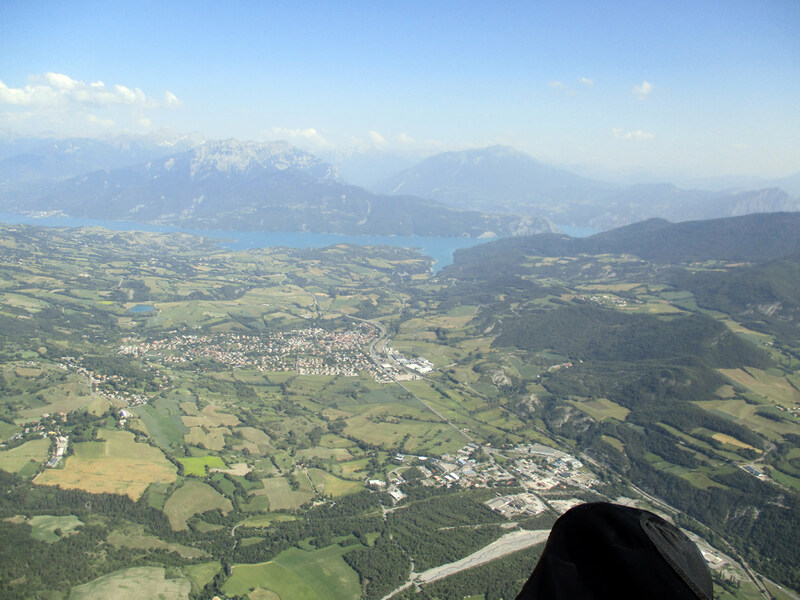 A major thing I learned at Chabre was that any long XC flight is going to have uncomfortable parts. It might be some turbulence near a big climb or soaring a windy mountain ridge, but there will be some time which doesn’t feel great. Obviously if things are really unsafe then go land, but if it’s just a case of getting through a less pleasant bit of air, goal setting is a really useful strategy. 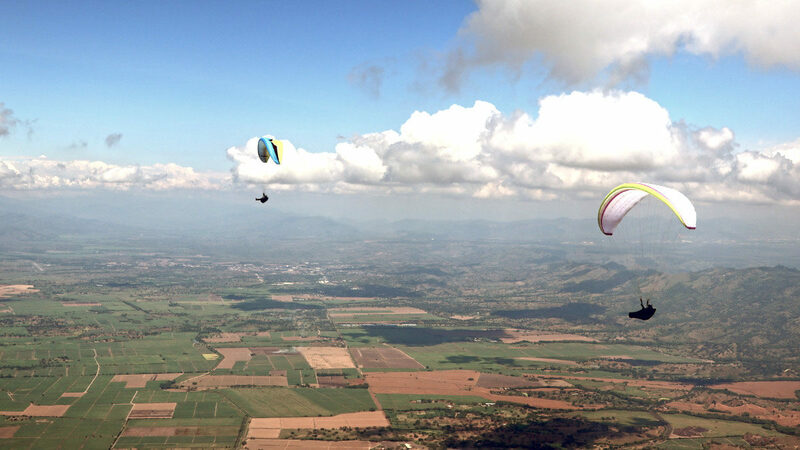 Set a goal of making it through five minutes more flying, trying to climb 1000’, or gliding another kilometer, and usually by the time you’ve achieved the goal you’ll be feeling better about yourself and have made it through the nasty bit ready to enjoy the rest of the flight. At my first coaching call with Pat, we identified that I was really scared of being sucked into a cloud, and would usually run away from any cloud more than a couple of hundred feet tall. 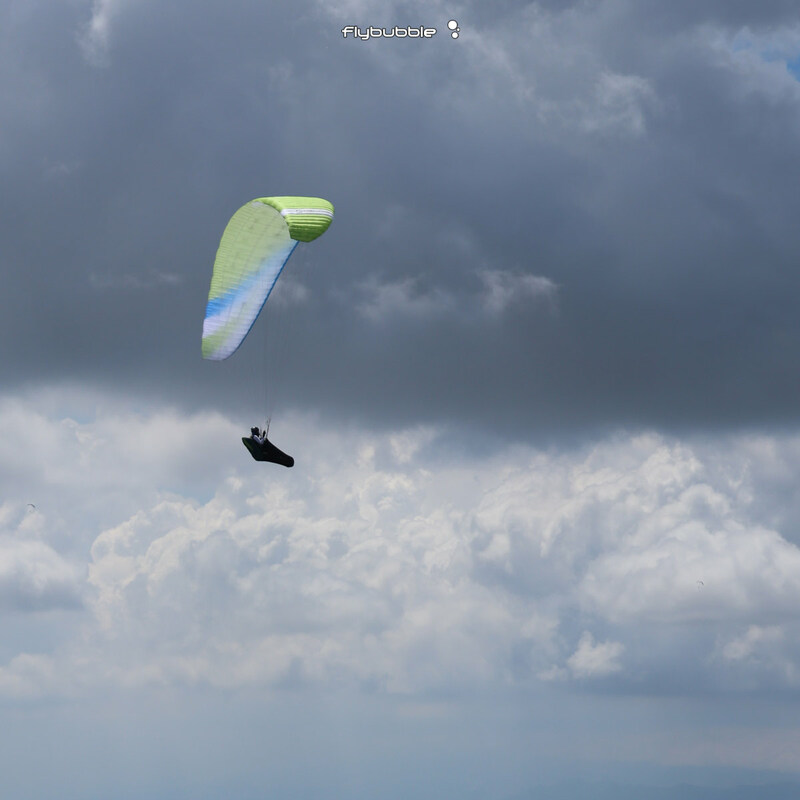 On one XC flight I had from Caburn in 2018 I was leaving each climb at cloudbase, flying upwind away from the clouds, and skirting around them in sink before gliding on – clearly not a great strategy! Pat’s advice was to ensure I had an escape route when nearing any cloud so I was prepared if I did dip into the cloud. I could identify the escape route via a bearing on my GPS to the nearest blue hole. Then with this knowledge I could start trying to fly under larger clouds and seeing what happened. 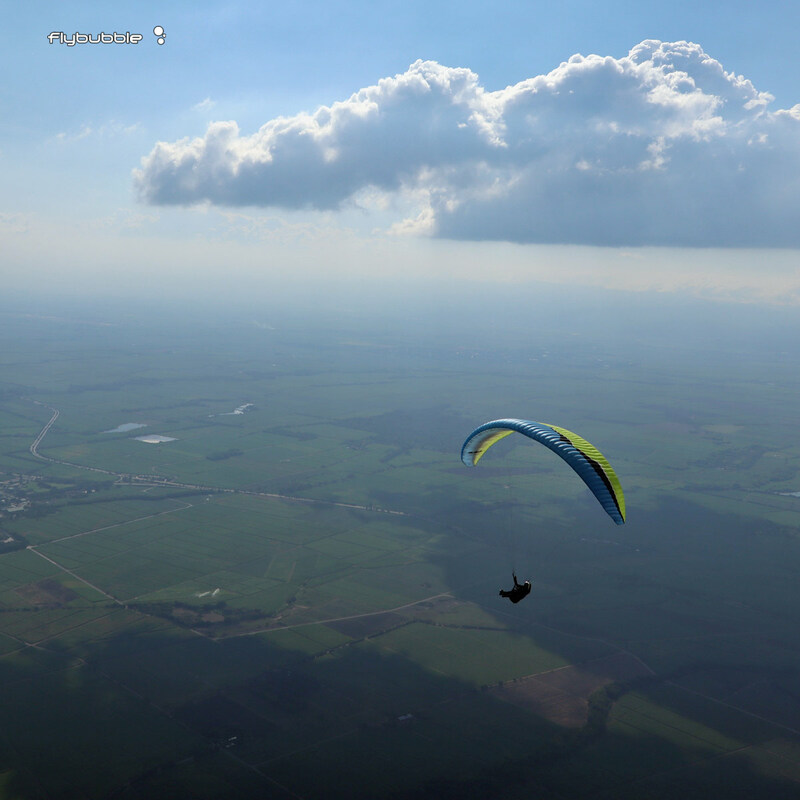 I’ve now flown under clouds which would have terrified me at the start of the year, and only discovered a little bit of lift, a decent glide ratio, or just had to use a bit of ears and speed bar. I’m still cautious approaching any large cloud, but have at least started to be able to use them more wisely. Kelly Farina’s 45 degree rule (make sure the edge of the cloud is more than 45 degrees above the horizontal at all times), is also a good one for making sure you’re positioned so you can escape lift if needed, as is doing SIV to have more confidence in your ability to use descent techniques if needed. 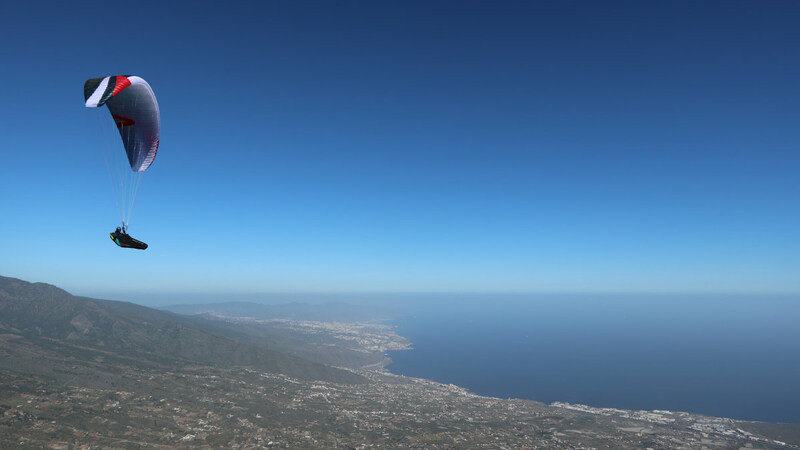 In 2018 I upgraded from a mid-B to high-B wing, mainly because I found I’d been flying the mid-B wing overweight, and needed to change glider model to get back into the weight range. I also bought my first pod harness (Gin Genie Lite 2), which I’ve found great, not so much for performance but just for warmth and better instrument mounting. My latest gear feels really comfortable for me, and I think this is key – generally I’m happy on my kit even in wind or strong thermals, which allows me to get out of the “riser bubble” and focus on all round observation. While I’m not going to win any PWCs on my B wing, I was able to keep up with the Cs at Chabre, and I’ll still landing my XCs much earlier than I’d like, primarily because of stamina. I don’t really think the wing is holding me back anywhere near as much as my ability, and I think a move to a hotter wing which might tax my stamina further, or reduce my safety. Being in the weight range definitely helps on those lighter days though, so do get yourself on the scales and double-check you’re really in the correct part of the weight range – I was pretty surprised to find out I was flying overweight when I got on the scales over winter! One technique Pat taught me which was really helpful is to glide using the L/D ratio shown on my instrument. As a first step, really relaxing, focussing on having an aerodynamic body position and keeping hands behind the risers can really improve the L/D. After these steps, playing with the speed range, from hands up to lots of bar on, and seeing what makes L/D better, can lead to a really efficient glide. On my instrument the L/D updates very regularly, and changes all the time with the air, so I find I have to do a bit of mental averaging of the numbers to work out what’s working best. I also find I have to change speed bar setting pretty regularly to keep optimised, but I think this technique has really improved my gliding. 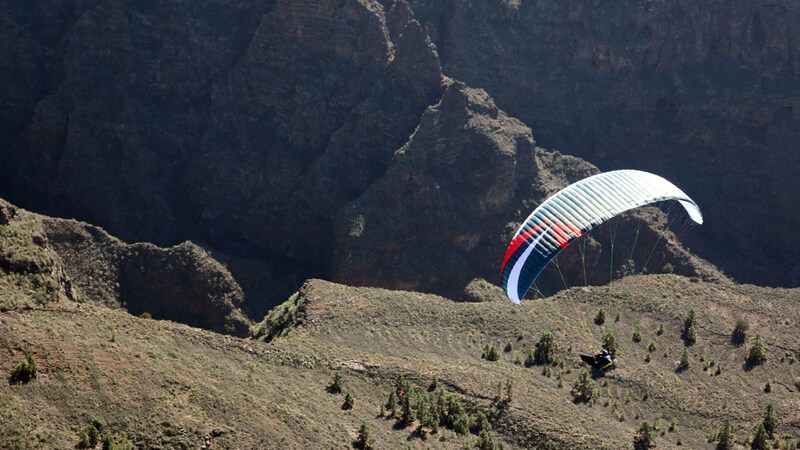 If I can see someone climbing really well near me I’ll definitely step on the bar a bit more, and if I have no idea where to go and am just trying to survive will try to minimise sink, but maximising L/D is now my preferred gliding strategy, particularly when flying XC rather than competition. One of my bigger frustrations of last year was landing too many UK cross country flights after a few hours, and not managing a big full day flight. I’ve really realised that with the low cloudbase in the UK you’re only even a few minutes away from bombing out even when you’re at base. Right now at my level the only way to extend my flights is by being really conservative, and stopping in any lift I find, to try to fly through the day. In particular, if I get down to 2000’ AGL I need to be in survival mode, and just try to find anything, a zero or even a -0.5, to stay up in. Often if you milk a zero for long enough it will turn into a decent climb, but as I’ve found from painful experience, leaving a zero at 2,000’ for the promise of something better is pretty much guaranteed to result in an early landing. 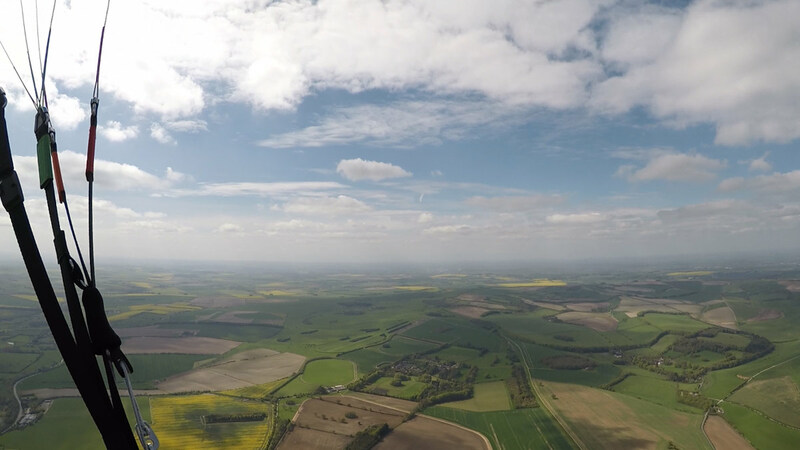 I hope these tips help you improve your flying and lead to many happy hours at cloudbase!